For working folks and busy families, the slow cooker can be a life saver. There was a time when I thought it was the greatest addition to kitchen appliances since the toaster, now there are simply too many to choose from. It was the one recommendation that I made to my father and my brother when life changes left them to fend for themselves in the kitchen. Lately, I’ve been experimenting with more creative ways to use the versatile, nutrient-rich potato for vegetarian meals rather than typecasting the humble starch as a side dish. One of my favorite Mexican restaurants has a crispy Tacos de Papa (potato taco) that is served alongside the Chile Relleno combo plate that I find myself ordering every time… Old habits never die! 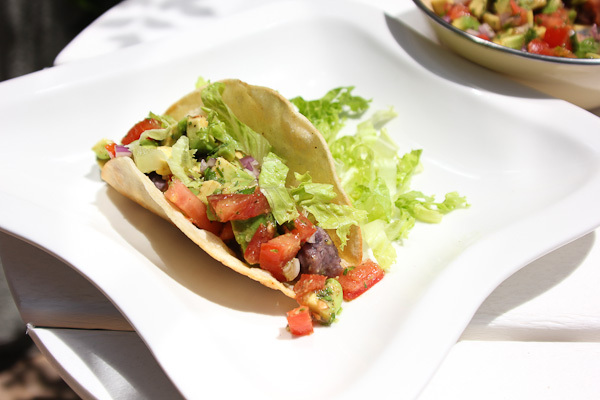 The taco is fried which makes every bite a satisfying contrast of textures with the crispy shell surrounding a creamy potato filling. 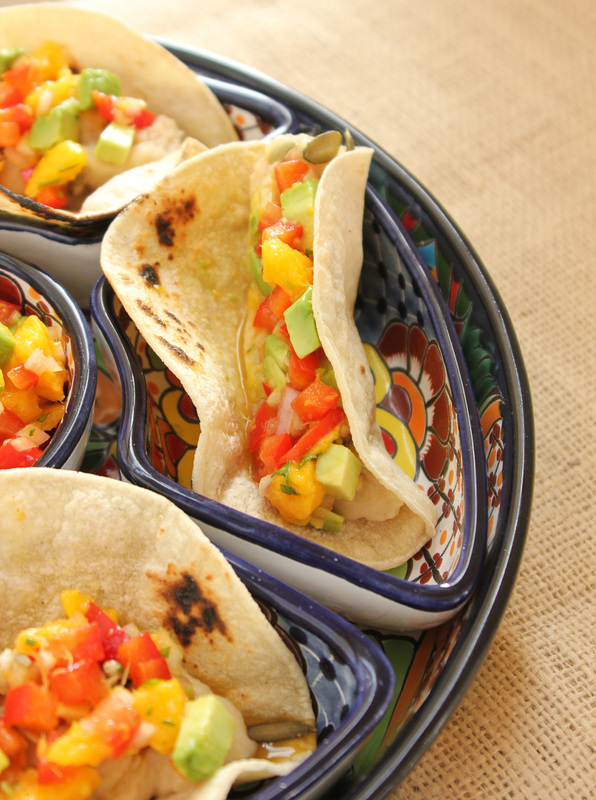 I served them the first time as soft tacos, but have to admit that I missed that crunch! An easy creamy potato taco recipe with a fruity salsa that comes together within 30 minutes – great for weeknights on the go. *Note: if using purple potatoes, select larger potatoes for ease of peeling. 1. Peel the potatoes, chop into cubes. Add the potatoes and garlic to the slow cooker. Combine the butter, olive oil, lemon pepper, chile flakes and 1 cup milk and pour over the potatoes to cover. The potatoes should be covered or the exposed portions will become dry. Cook on Low for 6 hours. 2. Mash the potatoes in the slow cooker with a potato masher and then a fork for a smoother mixture. Add another 1/4 cup milk if necessary, the yogurt cheese, cumin, and the sea salt. 3. 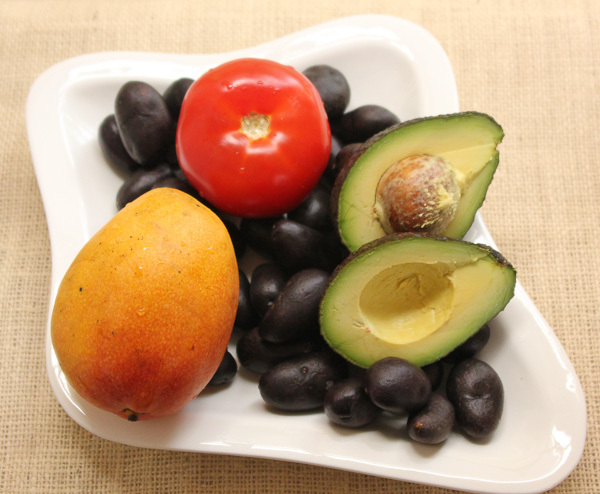 Prepare the salsa by slicing avocado in half lengthwise, remove the pit, starting at the seed end – peel off the skin, cut into slices and then chop. For the mango: hold firmly and cut 1/3 off each side of the pit, remove from the skin, then cut the remaining flesh from around the skin. This video is helpful. With your clean hands, squeeze the mango seed with remaining pulp over the bowl to catch the juices. Add the mango, red pepper, shallot, cilantro, lime juice and spices. Gently mix in the avocado. 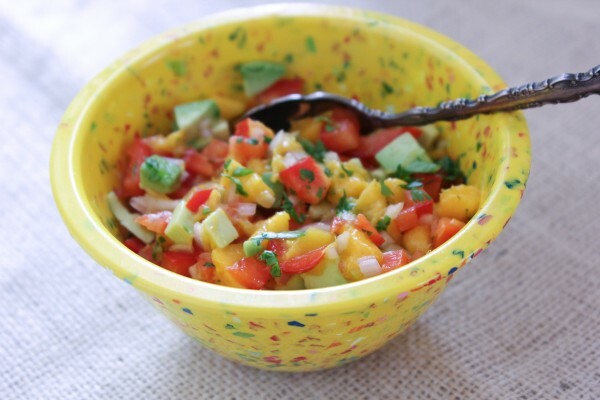 Follow the same procedure for the tomato avocado salsa, or use your favorite prepared salsa. 4. Heat the tortillas 2-3 at a time in a skillet sprayed with cooking spray or, if you have a gas stove, directly over a low flame until lightly scorched and a little crisp. To fry the taco: heat a tablespoon of oil (I use sunflower or avocado) in a skillet, wrap 2-3 tortillas in a paper towel, heat in the microwave for 15 seconds, put a spoonful of the potato filling in the middle, fold in half for a taco shape, and fry for a few minutes on each side until they puff up a little and are golden brown. Variations: add chopped chiles to the mashed potatoes: Hatch chiles or Anaheim’s for a mild chile flavor, Poblano for a smoky flavor, or Serrano or Jalapeño for spicy. Disclosure: I received compensation for developing this recipe for the Idaho Potato Commission, opinions expressed are my own. 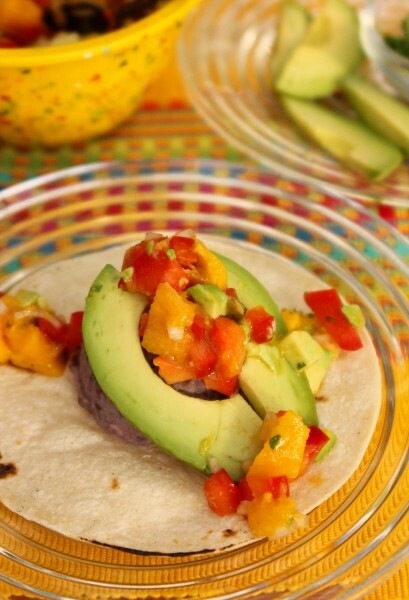 These tacos look so tasty, love the mango salsa! These look delicious. I love potatoes but never would have considered potato tacos. Thanks for the inspiration. 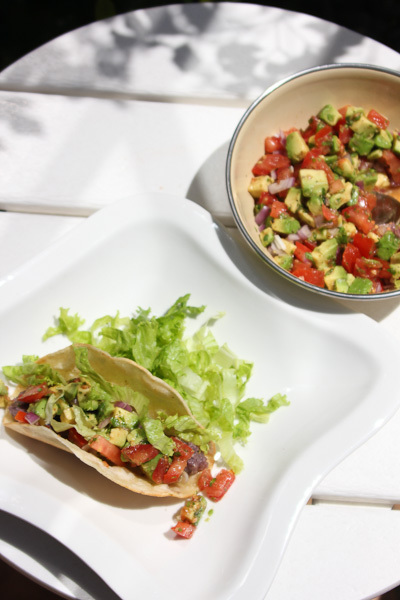 I’ve included them in a recent roundup of slow cooker taco fillings I posted.